I am shamefully uninformed about the subject, but I am sure the reason to that won't stay hidden for long. I was afraid to be excited about the next expansion to begin with. 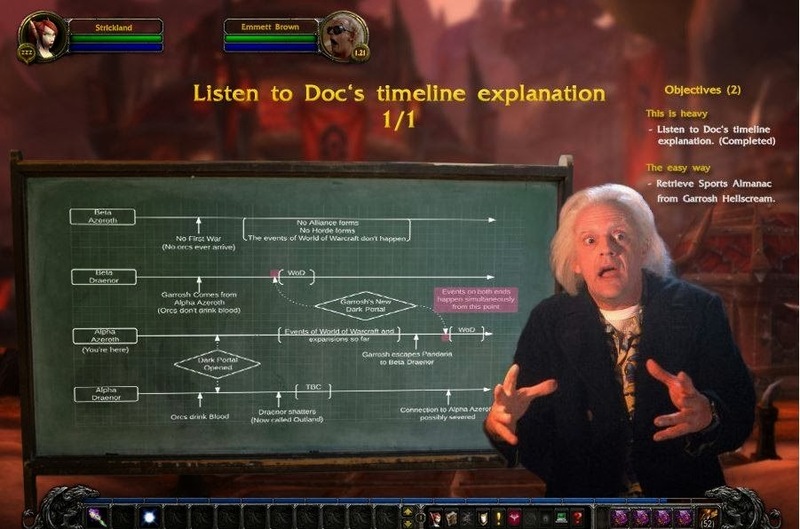 For long it's been obvious that it would be something Burning Legion related. Now, it seems that the Burning Crusade is overall considered the most missed time period of WoW, as well as the best expansion. The mere thought of Blizzard trying to please the older players by bringing back Outland-ish locations and characters makes me grimace. As I mentioned, I am uninformed. Very much so indeed. Regardless, I think it's rather worrying that the feature I am most excited about is the item level squish. I am not overly worried about it, though. As with Mists of Pandaria, my excitement for the features grew over time, so I'm definitely giving myself more time to acquire information about Warlords of Draenor before my final judgement. I have to say, however, that having kind of missed out on the whole draenei scene in Outland, I'm excited to really dive into the world and heritage of my main character Nicasia. I think it will bring a lot of depth to her character, as well as make the leveling (and playing overall) experience enjoyable, in-depth and interesting.